Sun 7 Aug 1pm-4pm. 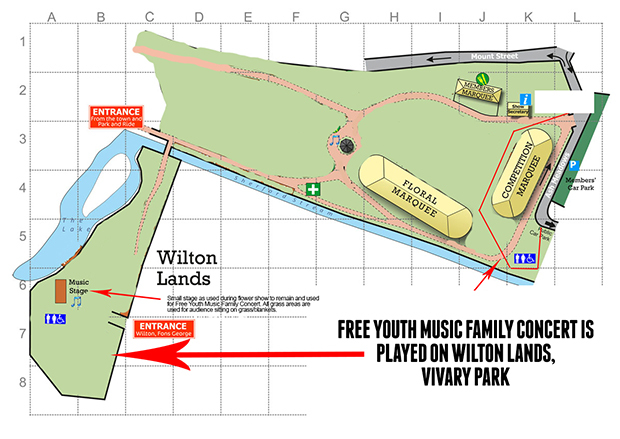 Vivary Park (Wilton Lands area). Free entry. 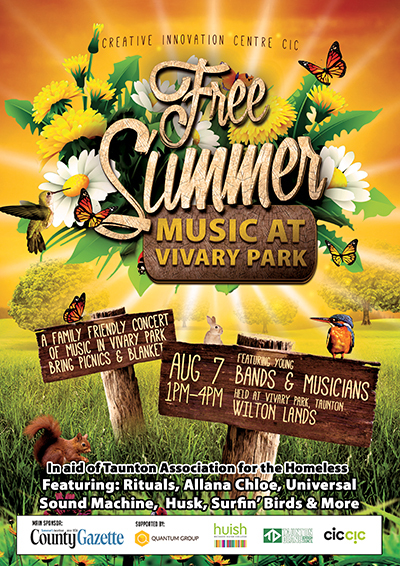 At CICCIC we have been supporting young musicians and music development for over 4 years and now you can enjoy the talents of local musicians, singers and bands on a lazy summer afternoon at Vivary Park and all for raising money for charity Taunton Association for the Homeless and not-for-profit organisation CICCIC. We encourage people of ages and families to bring their picnics, blankets and chairs and experience the amazing quality our young bands and artists produce, and all who are under the age of 25. You’ll get the chance to hear and see bands from a range of genres including acoustic, rock and roll and indie music from bands such as: The Rituals, Allana Chloe (winner of Taunton’s Got Talent 2016), Universal Sound Machine, Matt Bond, Husk, Surfin’ Birds & More. So get this event in your calendar and help support young talent and youth music in Taunton. You will be amazed.